For use underground as a feeder or branch circuit cable where provided with overcurrent protection of the rated ampacity as specified by the NEC®. Direct burial in the earth is permitted. May be installed as interior wiring in wet, dry, or corrosive locations as specified by the NEC® May be installed as nonmetallic-sheathed cable as specified in NEC® Section 340.10(4). May be installed in locations with temperatures up to 90°C but with the ampacity limited to that of 60°C conductors. Color-coded PVC (polyvinyl chloride) rated 90°C dry with nylon (polyamide) covering. 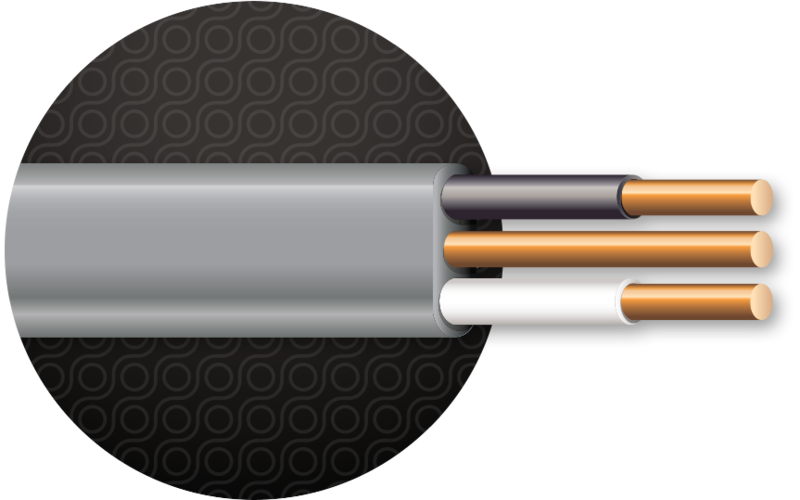 Insulated conductors are laid parallel with a bare grounding conductor.